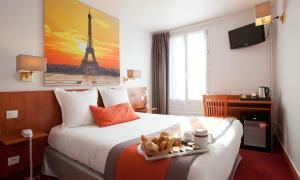 Located in central Paris, this hotel is 1 km from Champ de Mars Park leading to the Eiffel Tower. It has a 24-hour reception and guest rooms with free Wi-Fi. 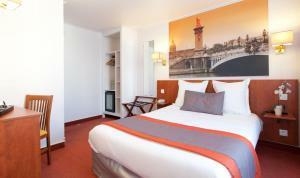 Guest rooms at the Alyss Saphir are equipped with a flat-screen TV and a fan. 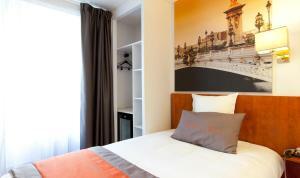 Each room has a private bathroom with amenities and a hairdryer. All rooms are serviced by a lift. 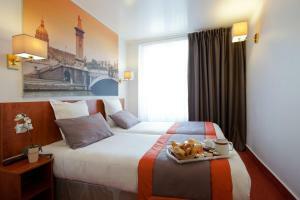 A buffet-style breakfast is served every morning at hotel Alyss Saphir Cambronne Eiffel. There are many traditional French cafes in the surrounding area. La Motte-Picquet-Grenelle Metro Station is 600 metres away, providing access to Porte de Versailles Exhibition Centre. 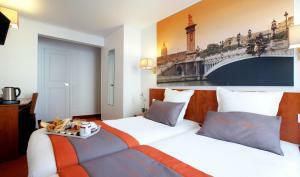 Reservations of more than 5 rooms incur special conditions. The total amount of the booking is due upon arrival. Please note that a deposit of € 20 may be required upon arrival for the mini bar. 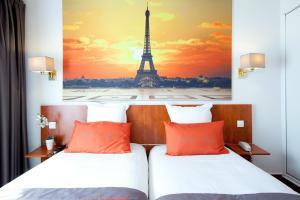 Guests may be asked to pay in cash or present their card for preauthorisation. The deposit will be returned to the customer at the time of departure after the use of the mini bar is verified. Guests are required to show a photo identification and credit card upon check-in. Please note that all Special Requests are subject to availability and additional charges may apply. 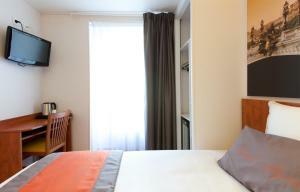 Features an LCD TV, free Wi-Fi access and a private bathroom with a hairdryer and free organic toiletries. 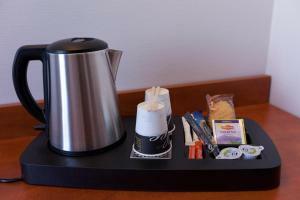 Tea and coffee making facilities, a minibar and telephone are provided. 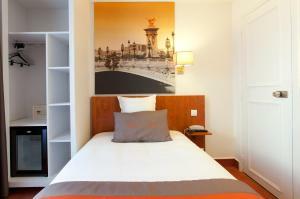 Rate: € 95.00 ... € 349.00; select dates below to get current rates.